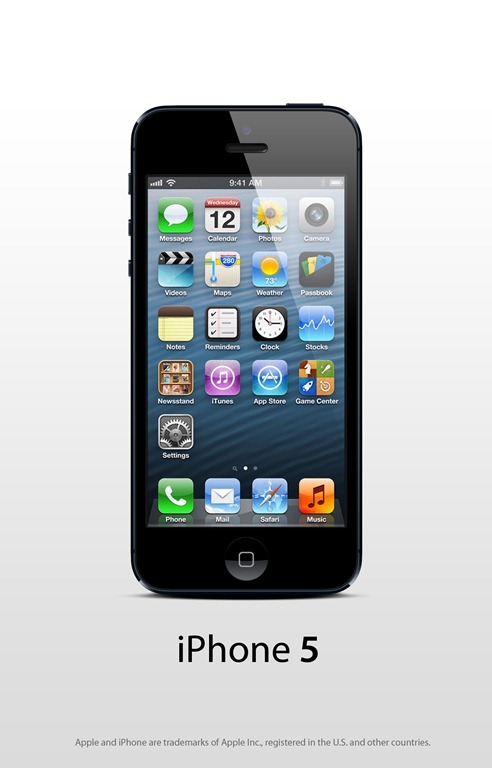 Apple iPhone 5 black PSD | Photoshop | All Free Web Resources for Designer - Web Design Hot! Apple’s new iPhone 5 , announced September 12. It is a lighter and thinner smartphone, with the latest arrival boasting a 16:9, 4 inch screen, new smaller port,and 4G LTE, but had to make some tradeoffs you might not like. This is psd file with 2d front design for a black iPhone5. This entry was posted on Wednesday, September 12th, 2012 at 11:33 pm and is filed under Photoshop . You can follow any responses to this entry through the RSS 2.0 feed. You can leave a response, or trackback from your own site.